The six Future water glasses are objects that make the everyday table an example of refinement and elegance. Characterized by a pleasing hourglass profile, they combine the typical Scandinavian aesthetics with practicality. 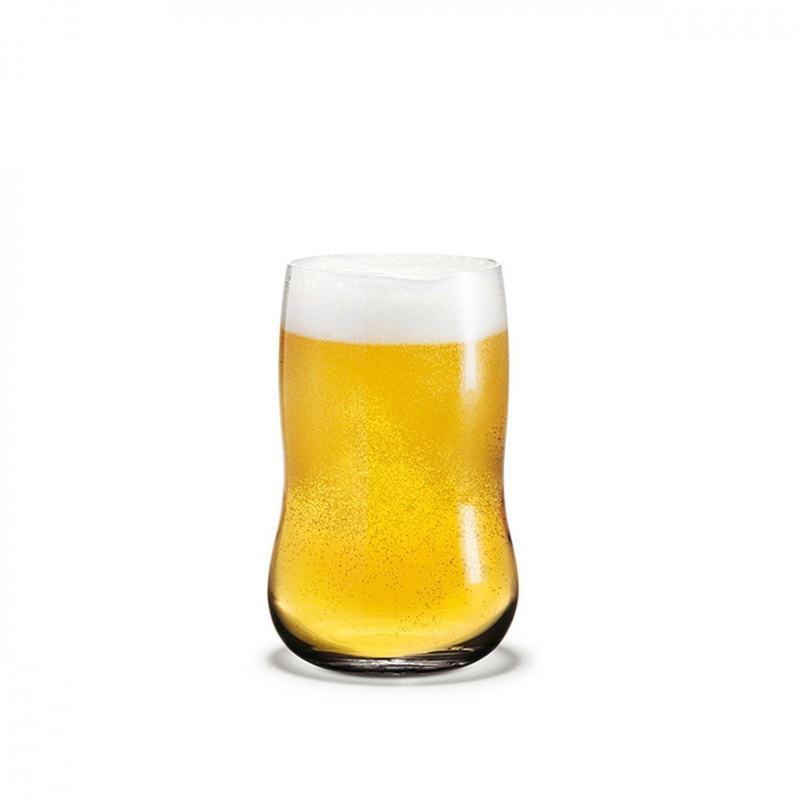 Designed in 2000 by the Danish designer Peter Svarrer, also known as Master of Light, for Holmegaard, the Future glasses are entirely made of high-quality mouth-blown glasses. The ergonomic shape and size, with a storage capacity of 25 cl, ensures a secure grip even for children. They are easy to take care of, given that are dishwasher safe up to 55°C. The 6 Future water glasses by Holmegaard satisfy the will of their designer to create an everyday object able to stand out for sophistication and design. They are the focal point of the contemporary tables thanks to their modern style. They admirably accompany any fabric and colour, enhancing every dish, and give a touch of refined modernity to those white mise en place with a slightly retro look. They can be also used for open air meals, arranged on rustic and simple tables. Thanks to their capacity, they are suitable for serving fruit juice, punch or soft drinks during afternoon meetings with friends or lunches. 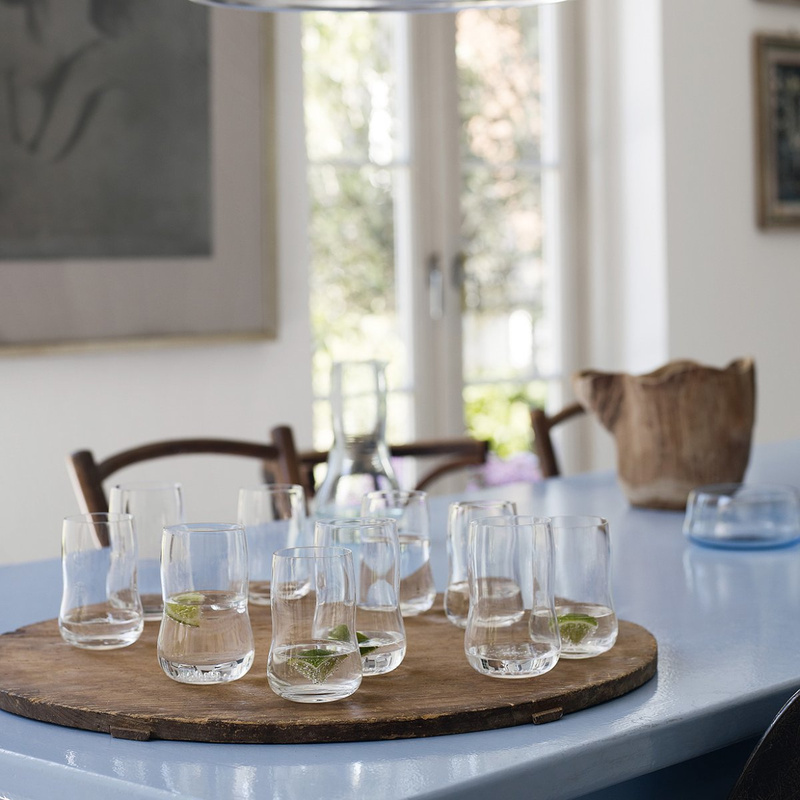 Alone or together with the other components of the same line, these 6 Future water glasses will bring to formal meetings a hint of elegant liveliness. 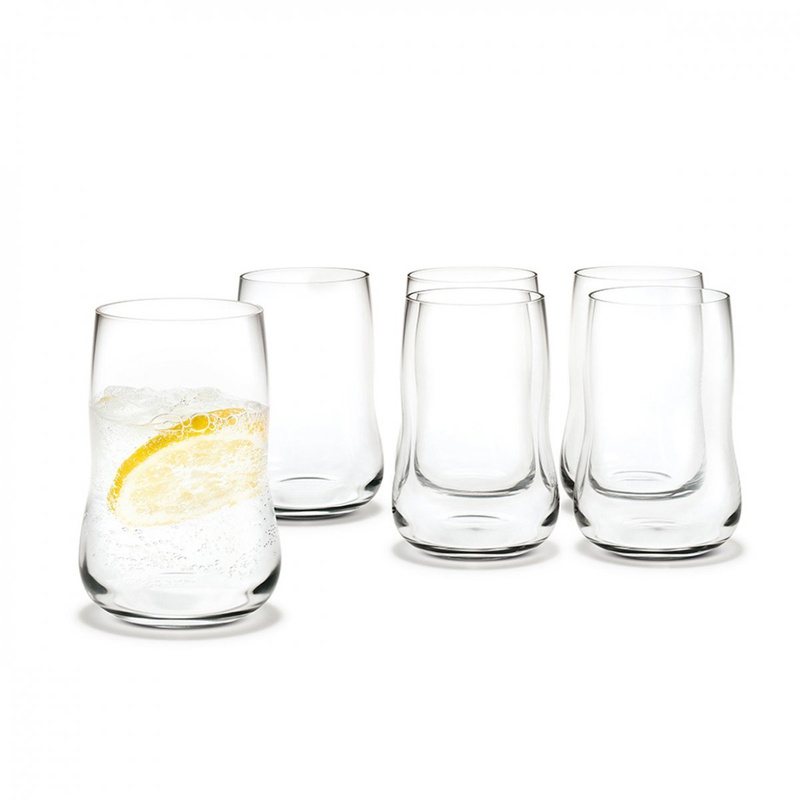 The 6 Future water glasses by Holmegaard are the perfect gift to be enjoyed on any occasion.